Eagle Ray, Inc. takes a pragmatic, common-sense approach to organizational transformation, tailoring our proven, systematized processes to meet your unique requirements. Our transformational approach is based on common sense. The tools we use include audits (we perform the critical function of monitoring adherence to new processes and standards), templates, and a library of certified processes. 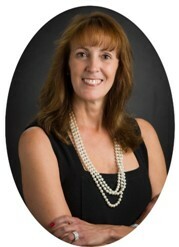 Babs Doherty founded Eagle Ray, Inc., in 2002 to offer a consistent, thorough process for delivering IT projects. She saw an opportunity to provide standard processes, plans, templates and forms that would enable the company’s clients to transform their organizations. Her desire was to help them complete projects on time and within budget, ensure the repeatability of the process, satisfy customers, and continue to grow and operate effectively. As President and CEO, Babs provides vision and governance for the firm. She also establishes strategic partnerships that will best support customers and meet their expectations. She works hard to ensure that customers are completely satisfied with the services Eagle Ray provides. CEOCFO: Ms. Doherty, what is Eagle Ray? Ms. Doherty: We specialize in program management office services and those IT governance services such as program management, IV&V, IT governance. In addition to that, we also provide data analytics for big data and application development in application services. CEOCFO: Is there a typical customer? Ms. Doherty: Our customers are the intelligence community primarily the CIO’s shops as well as DHS and FDIC, which are our largest customers. We are providing a range of services. CEOCFO: What was the focus when your started the company and where are you today? Was this the intended target market? Ms. Doherty: It was. When we started 12 years ago, I was a huge process person and a certified ISO 9000 lead auditor. I had started Eagle Ray, was looking for my first customers and was invited to come in and look at a problem that was going on at a project within the intelligence community. One of the contractors was not able to get their job out on time and the government was unhappy with their performance. The contractor asked me to come in and do a review of their processes just to determine where they may be having some difficulty. When I figured that problem out and gave the briefing to the leadership there, they said it was great and to come in and make the changes for them. I said I would come in and do it as Eagle Ray and they said yes. That is where Eagle Ray got our first sub contract. Several years later, that contract actually became our very first prime contract with the government. They have taken our processes that we have developed and have now proliferated them throughout the entire organization, not just within that on program anymore. They have seen such great value in the work that we have done there. What has happened from there is some people that were working at that organization have left to go other places, they brought us along, and all of our business has been word of mouth. We have a large presence at ONI and DIA, and now with our Kore Federal acquisition that we made in December, DHS, specifically CBP and CIS. CEOCFO: What is it, fundamentally, you understand that perhaps others do not that allows successful interaction? Ms. Doherty: I think that you have to match your services and the people providing those services very clearly and cleanly with your customers set. Many people view some of these engagements as staff augmentation, where they just find someone who meets a labor category and they put them in the job and they let them go to work. We do not do that exactly. We do make sure the person is qualified for the position that the customer is paying for, but we go as far as matching personality, matching backgrounds. If we have someone who is ex- navy or is in the navy, we look for people who are ex-navy or might have been an officer or someone that matches the customer. We want them to understand where our customer is coming from so they can provide the best services going forward. We spend a great amount of time trying to understand our customers so we can match them with the right individuals who are performing the service and act in more of a trusted agent capacity. That has worked out really well for us, and making sure we do all that within very low cost as best as we can. We keep our cost low through very low overhead. Many people do many things just to make sure we keep our cost down. That is where the secret is, not to just look for a resume but to look for the right fit. CEOCFO: What has changed from your original concept and how the company should run and work? What have you learned over time that is making the company even more successful? Ms. Doherty: I knew what I wanted to do from the very beginning. The first three or four consultants that I hired, I hired in the manner I described. We had such great success that we maintain that model today. I am not saying that you do not find people that just do not match; we need to make some changes. We all have things that are important to us, we have to make sure we match those together, but I would say that our success rate is very high in being able to do that. Eagle Ray’s success came from an intervention that my staff had with me a few years ago. I was actually billing and working directly with customers, feeling that I was really doing my part. The problem was that I was not focused on growing the business because I was too busy being in the business. My leadership team literally came in my office, shut the door and said I need to stop billing because no one sells Eagle Ray and understands how to meet our customers’ demands, and understands how to do this better than me, and if I am doing business, I am not helping to grow the business. It was a hard pill to swallow because I really felt like I was participating and doing my part, but they really needed someone to continue to provide the vision, the leadership and to drive things forward. Once I stopped my direct billing and focused on strategy, teaming and looking for prime opportunities, the company really started to take off because there was someone focused on that part of the business and that was me, and it is my job as CEO. CEOCEO: How do you navigate some of the challenges working with the government? Ms. Doherty: It is never easy. The government has a big job on their shoulders. They are under this gigantic microscope in this era of transparency. Everyone is afraid of protests because protest is now part of the acquisition cycle because it creates additional scrutiny on the processes and perhaps on specific individuals. It makes for a very difficult environment for everyone to work under. For me, the way that we can get through that is to maintain the best relationship we can with the contracting officers and the folks in charge of the acquisitions. Let them know that we are here to help provide information, supply any other back up that they might need for our bids or for our capabilities, and just making sure that we maintain great relationships with our prime contractors and our subcontractors. It is really a relationship business when you get down to it in the end. Being prepared to respond and respond quickly and effectively the first time and maintain strong relationships has been our strongest avenue. CEOCFO: What has changed if anything in how you approach what you are doing, given the scrutiny, Snowden and the NSA- all the issues that are front and center? Ms. Doherty: It is unfortunate that Snowden is the only one that gets that attention, because I am sure there are other problems in areas that are not intelligence related that could get the same type of scrutiny. Of course it does not help that our media does not always get the story completely right before it hits the TV. We continue to maintain a high security posture. We have an outstanding director of security. We make sure that all of our staff are trained as required and a little more so that they understand what their job and role is in the intelligence community. Our job and the way that we approach the work have not changed at all. All we have done is double check to make sure that our security policy and processes are solid so that those things will not happen within Eagle Ray and we just continue to provide great service to our customers. CEOCFO: Would you tell us about the acquisition of Kore Federal and what that adds to Eagle Ray? Ms. Doherty: Probably 18 months ago, we began hearing a great amount of sequestration and budget cuts. At that point in time, Eagle Ray was 100% Intel based with a little bit of DHS work at TSA as a sub. I knew that if the budget cuts were coming and that this was our main bread and butter that I needed to start looking at ways to diversify our customer base. At the same time, I wanted to find a way to bring more technology into the company. My background is as a computer programmer and analyst, so I kind of wanted to bring some more technology focus in the company beyond developing IT processes and procedures. I began looking for ways that we could either win work or be attached to a team that has work at non-Intel based organizations, and I set my sights on DHS. What ended up happening was I was introduced to a company through an executive recruiter who happened to know them, introduced the two of us, the owners and we began to chat about Eagle Ray’s culture, my goals where I saw the company going, the fact that I wanted to diversify. We talked about some of the budget crisis that was looming and the conversation was very positive. The owners also believed that there was a great synergy between the two companies because they do work similarly, but then they do additional technological kinds of things. We went through with the acquisition and instantly diversified our portfolio, so we are now Intel and DHS, probably split 50/50 and a double the size of the company, a double the size of the staff and it has been a very smooth transition. The culture was a great fit. That allowed eagle ray to not take such a huge hit, we did take hits, everyone took hits, but it lightened the blow of all of our Intel and DoD business, getting hit with sequestration and budget cuts because we now had some additional work that was coming in. We were able to capitalize on some openings that they had and give some staff some new opportunities to do some more things, help people grow and give them other avenues for their careers. It was great timing and a great fit for Eagle Ray, it has been very positive. CEOCFO: Do you anticipate further acquisitions? Ms. Doherty: I definitely do. CEOCFO: Do you have your sights set on something or would it be more opportunistic? What is the strategy? Ms. Doherty: I do have my sights on continuing to grow our intel and our DHS work. I will definitely be looking for other companies that are in those areas that can help to strengthen our current offerings. I also want to strengthen our software application development acumen and look for other companies that are doing that work as well. I think that those are the areas that I am looking to stay within our core capabilities this time and grow them rather than looking for a new capability to bring into the company. Of course Cyber is the hot ticket now, so making sure we can strengthen even more of our cyber capabilities that we have in the company would be a great avenue for us. CEOCFO: How is business now? Ms. Doherty: Business is good. We definitely saw a huge slow down during many of the budget cuts and through sequestration. Everyone saw contracts being cancelled and consolidated. Proposals were being cancelled, some even submitted and then the procurement was cancelled. There were some crazy times and it is still not over, but I would say that we are starting to see a little bit of loosening. It almost feels as though the government was very quick to respond to the budget cuts and they might have cut a little too deep, now they are coming back and bringing more critical functions back in and funding some of those critical functions, which is very positive for me. I am seeing a little movement. We are starting to see more things awarded now and are starting to see much more opportunities opening with new RFPs, so I think things are turning. I will say what is very different is we are also seeing competition in places we never used to see them. These very large integrators showing up for opportunity at industry days that are $5 million, you would never see them there before, which I think is a huge sign that it is not over obviously. We still have much more to go but everybody is vying for the same dollars coming from the government no matter where it is and you are seeing some very large players struggling as well as the small and midsized companies. CEOCFO: Does your past experience put you a step ahead or is everything really reviewed contract by contract? Ms. Doherty: Experience has shaped much of the way that we negotiate and the way that we approach bids. We have been on a sub contract side where they like to use our logo but do not use us at all in the work. We have been at the table as a sub contractor who has work share and has delivered on that work share. We have also been a prime. We have an opportunity now to be able to live in each of those areas; we are prime, major sub and smaller sub. It gives you some perspective on where you should actually put your effort and where you should just be responsive and there is a difference on that. Effort means you are going to get something when you come out on the other end and support just means you respond to what is required until you actually have an opportunity put in front of you. There are many primes that are looking for only a logo to put in the proposal and we do not put as much time into those because there is no return on our investment. Understanding what the questions that you are being asked, you know you will be a major player or not and whether you should put a great deal of time into it or if you should just sit back and be responsive. I say that our experience being burned and seeing how the landscape has been playing out and the heavy competition is definitely in our favor. We talk about that every time we go after work: is this a real opportunity or is this a responsive opportunity? We react accordingly. CEOCFO: Both you and the company have been recognized with several different rewards; what is most meaningful for you? Ms. Doherty: I would say probably what is most meaningful is the Virginia’s Fast 50. To be recognized as an organization when for so many years we were very stagnant in growth, we were eking up. We have always been profitable and grown a little bit, but for the first half of the company’s life, we were pretty much hanging around the same low numbers, growing a little every year. We have been recognized for some significant growth and it means a great deal that we were going to make it, we are not just this garage operation, we are a viable competitor in the market, we are growing and we have positive vibes. That one has probably meant the most to me so far. CEOCFO: Put it together for our readers. Why is Eagle Ray exceptional? Ms. Doherty: We are exceptional because of our business process, we review it constantly and we are an ISO 9000 registered organization. Our staff who take ownership of their work, and I would say that our customers who allow us to come in and do the work as they have asked us to and they recognize us. We do our customer satisfaction surveys once a year, they all come back in the high 90s and we know that we are doing our jobs really well. That comes from the team that goes to do the work. They own their work and they are passionate about what they do. We are in mission critical areas, which make it exciting work that is important to our nation’s security and that is what makes us all get up and come to work in the morning.